Following on from last year’s Galaxy Note 8 and QLED TV range, 2018 is shaping up to be a big year for Samsung. It all starts at this year’s CES in Las Vegas. Unfortunately, for better or worse, the company didn’t have a huge amount to show off this year. These days, it looks like the company’s biggest announcements tend to merit their own ‘Unpacked’ events. Announced the evening before their official press conference, “The Wall” is a new 146-inch modular MicroLED TV. Like QLED, it’s pitched as an alternative to OLED. It incorporates micrometer (µm) scale LEDs – which are much smaller than current LEDs - that serve as their own source of light. 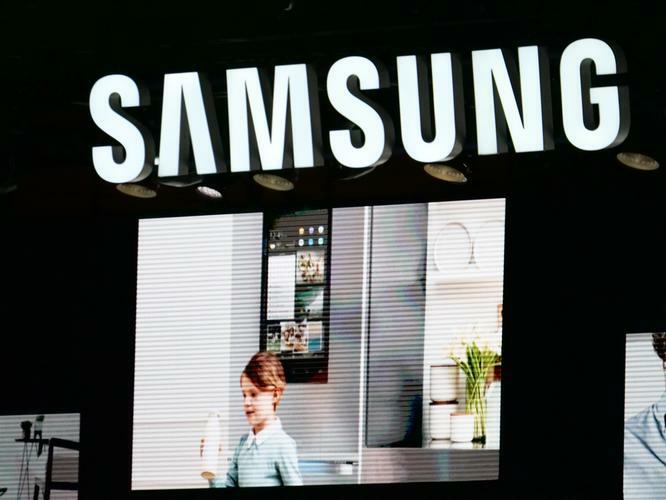 Taking a jab at the competition, Samsung are pitching “The Wall” as the answer to the "problems of OLED". It’s also said to be super-adaptable. Samsung say that customers will be able to customise their television sizes and shapes to suit their needs. However, how that ends up being realised in a practical and commercial sense is a bit unclear at this time. At this time, no availability for this product has been announced. 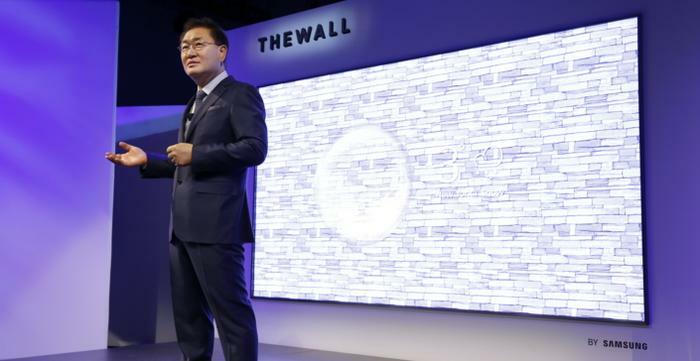 At this time, “The Wall” is just a proof-of-concept for Samsung. Again, this isn't something you'll be able to pick up from a JB Hi-Fi quite yet. The world’s first QLED TV featuring 8K. It uses AI technology to upscale standard definition content to 8K. Relying on proprietary algorithms, it works to to adjust screen resolution based on picture quality characteristics of each scene, to continuously improve picture quality and easily transform any type of content from any source into a high-resolution 8K. Samsung say that this product will be launched internationally, starting with Korea and the US during the second half of 2018. It’s not clear but expect something in line with the premium pricing attached to the company’s current QLED stock. 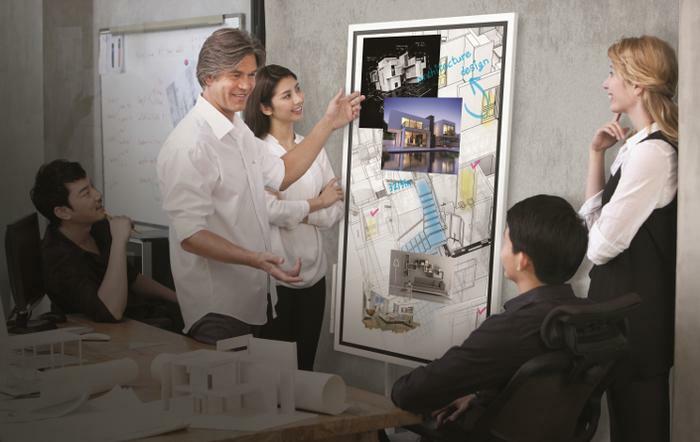 A 55-inch digital whiteboard in the same vein as products like the Google Jamboard. Unlike other digital whiteboards, the Samsung Flip isn’t just a bog-standard giant PC with a bundled stylus. It comes ready to make use of Samsung’s S-Pen and able to easily connect to other Samsung devices. It lets users project their phones onto the display and control the contents of their smartphone by tapping the larger screen, enabling for more intuitive interactions. The Samsung Flip also comes mounted on a rotating hinge that lets users easily shift the display between horizontal or vertical orientations. Samsung say that the Flip will be available in the US and Europe later in 2018. No specifics on this yet. Possible but nothing has been said yet. "The Family Hub represents how Samsung is developing connected and smart technology to help support Australians in their the day to day lives." There are a few new design touches to note here such as food storage tracking and meal planning. However, the biggest change this time around comes with the arrival and integration of Samsung's Bixby smart assistant and the SmartThings IoT ecosystem. “Since Family Hub’s introduction in 2016, consumers have embraced it as their home’s digital command center to help manage food, family and fun. 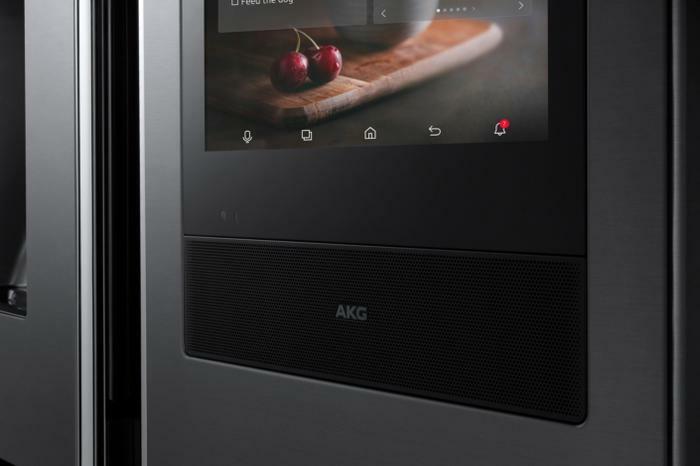 We’ve been listening closely to current users and created a new Family Hub that’s even smarter and more advanced than before,” said John Herrington, Senior Vice President, General Manager of Home Appliances for Samsung Electronics America. Samsung say that the Family Hub later in 2018. Possible but nothing has been confirmed as of yet. We've reached out to Samsung and will report back when we know more. Much like their recent developers conference, Samsung spend A LOT of time at this year’s CES presser talking up Bixby 2.0. 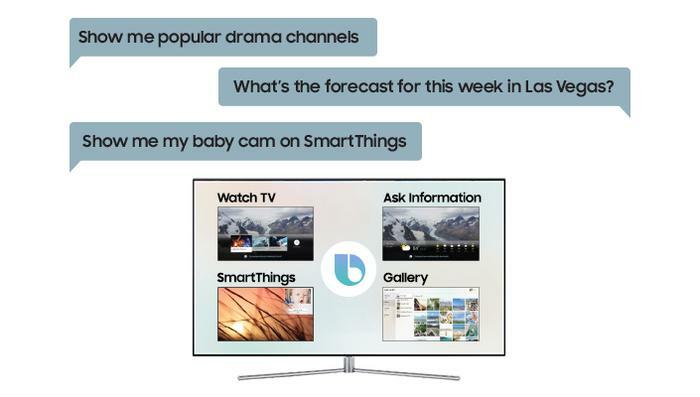 The voice assistant will be coming to the company’s future TV products (allowing you to search for content and remotely control connected smart devices) and Samsung say that by 2020 all their products will come with some degree of smart integration with the assistant and their SmartThings platform. Unfortunately, the problem here is Bixby itself. It hasn’t exactly lit the world on fire in the same way that Alexa and the Google Assistant have. The ball is in Samsung’s court as to whether they can improve on both the reality and the potential of the experience it offers.